Boise is making news, and good news. This thriving and scenic metropolis has been called one of the fastest growing areas in the Nation and one of the best for families. Until fairly recently the capitol of Idaho was a busy but fairly small city centered in the Treasure Valley with the nearby small agricultural cities of Nampa and Caldwell a short drive away. 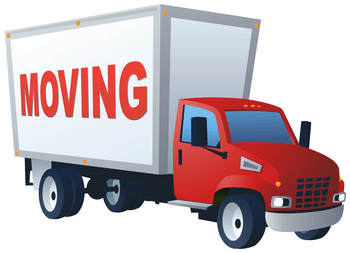 Due to the high costs of moving companies in places like California and New York, residents from out of state are looking to moving companies like ours in Idaho to not only get them moved for less money, but to also offer a much higher level of service than a national moving company. The last 20 years have seen a growth unprecedented by even contemporary means and new homes, subdivisions and opportunities for every kind of leisure activity from the symphony to an in-town ski resort ready to keep happy residents going year round. Local corporations such as Micron and Simplot are world famous and draw employees from everywhere. Moving to Boise has many benefits and opportunities included. Growth has its benefits and some problems too. So many homes subdivisions have been built that it's sometimes hard to find addresses. Infrastructure improvements mean detours as well. A long distance move to Boise should not become a corn maze trip. Working with a professional and informed mover who knows how to fund the shortest, most direct route to your new home is important. Nobody should get lost with your furniture in their truck. Lake Coeur d'Alene Movers / Stateside Movers LLC knows its way around. Moving to a new place, especially in a region you have only visited once takes some adjusting. New stores, new sights, new neighbors all take time to set in so why spend time packing, loading, and moving to a new place when experts can take the stress of moving out of the schedule and let you concentrate on learning about your new home in the mountain valleys of Southwest Idaho. 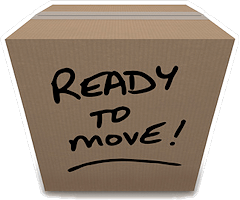 Depending on where you're coming from and when, we can tackle your long distance moving needs. 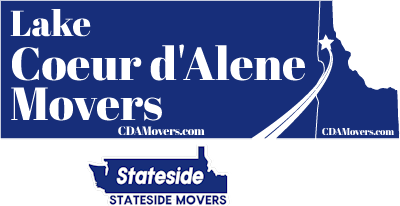 Lake Coeur d'Alene Movers / Stateside Movers LLC provides long distance moving services from Boise to Coeur d'Alene, Idaho (to or from). Our locally owned and operated moving company has served clients throughout Idaho and beyond. Starting with a reasonable moving estimate, many times below that of national moving companies, we seek to provide you with the excellent service you deserve from start to finish. Planning the move requires some homework. How much will it cost, if you are being relocated for a job, how much your company will contribute to the process? Getting written estimates is very important; you need to know what you are getting right up front. There will always be occasional surprises, fees and expenses which your new home state may require, registering and re-insuring your vehicles, price variances in food etc., and many other local items. Knowing how much the move will cost, what's included, insurance and other items will be given in writing so you can budget the whole process. Written estimates are our guarantee of the services you will receive and we stand behind them. Packing for a distance move seems to take forever, confusion reigns and there is never enough coffee or aspirin. Adding to all the stresses of a move by lifting and carting the endless number of boxes is not a good idea when you have so much to do. Stateside will pack, load and unload. We will arrive with a fully equipped, maintained moving truck and get the job done. If you want to use your own truck or have access to one, we will pack, load and unload. It's up to you. Boise and the surrounding cities have major employers and if you are being relocated we have service packages that can put the right service on hand to help you get going. If you have a vehicle to move, recreational equipment like boats or ski mobiles, or have complex entertainment and media centers that need to be moved and installed, we have contractors who will do this for you. We can arrange for house cleanups and cleanouts as well. The relocation package fits you and not the other way around. The benefits of working exclusively with a 5 star long distance mover are too numerous to mention. Getting your possessions to your new home safely, securely and on time are our 5 star commitments to you.